Diesel Concrete Pump Aimix Group Co., Ltd.
As an experienced diesel concrete pump manufacturer and exporter, Aimix Group has successfully sent our diesel concrete pump machine to tens of countries all over the world such as Pakistan, the Philippines, Vietnam, Myanmar, Seychelles, Indonesia, Sri Lanka, Russia, Fiji, Kuwait, Congo, Algeria, Sierra Leone, Uzbekistan etc. 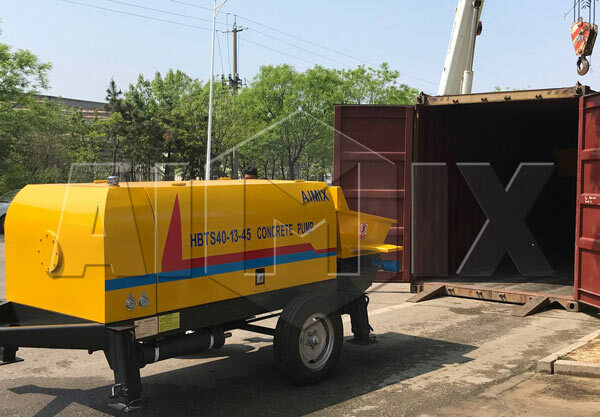 With strong technical team and sales team, Aimix Group will provide high quality diesel concrete pump machinery for sale and sincere services to customers. 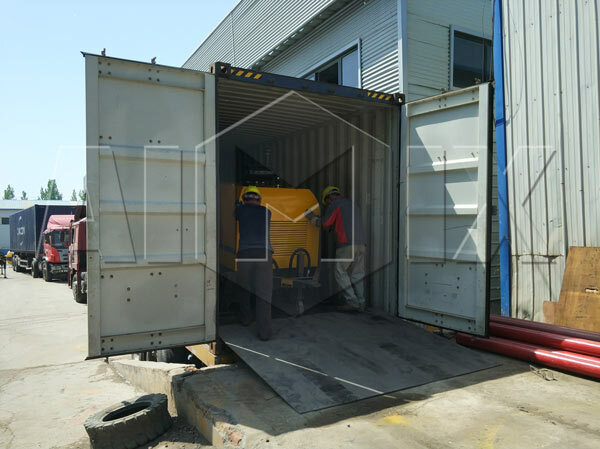 From manufacturing pump machine, shipping goods to customs clearance, we have professional teams to accomplish these things. Therefore, customers will not have to worry about anything, just trust us. 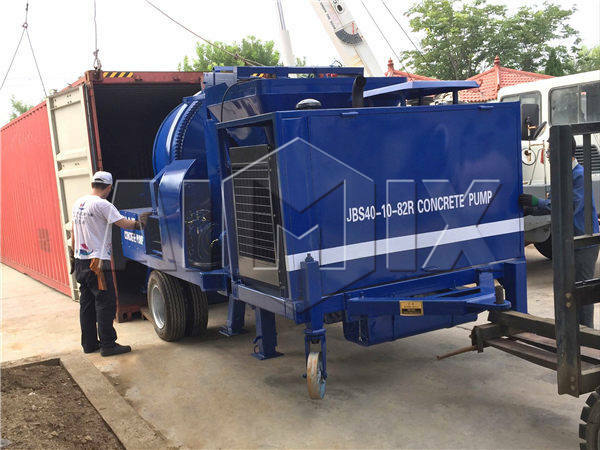 Diesel concrete pump, also known as diesel concrete conveying pump, is composed of pump body and conveying pipe. It is a kind of machinery that uses pressure to continuously transport concrete along the pipeline. 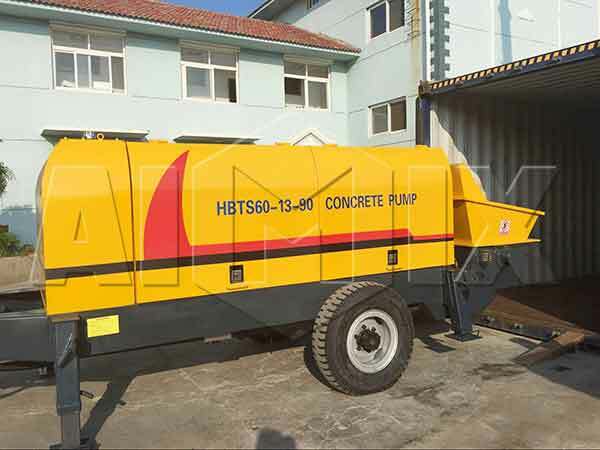 Aimix diesel concrete pumps are all valve type, which is the main trend in concrete pump industry. They are mainly used in construction of houses, bridges and tunnels. 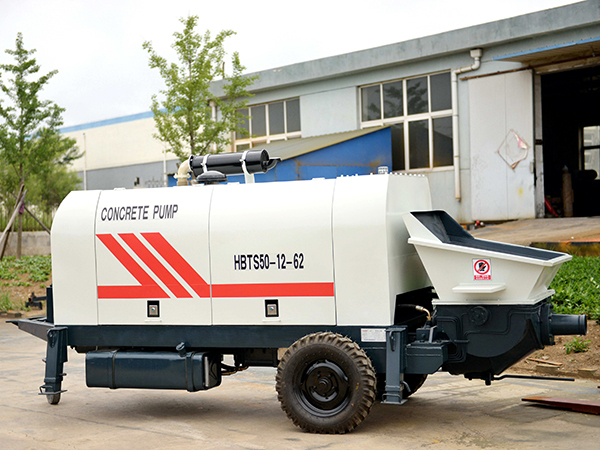 Compared to electric concrete pump, diesel engine concrete pump can work without the restriction of electric power. 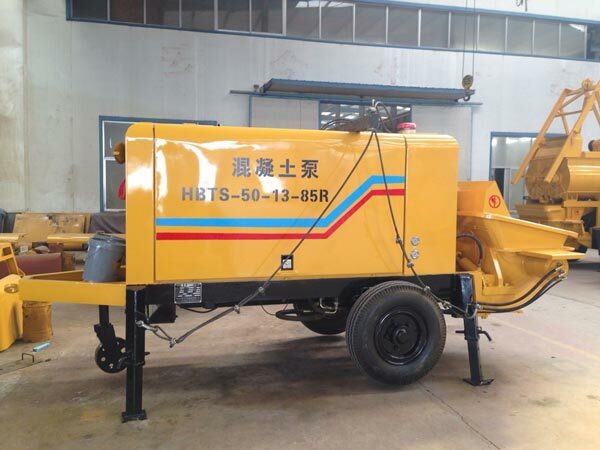 Therefore, diesel powdered concrete pump is much popular than electric concrete pump. 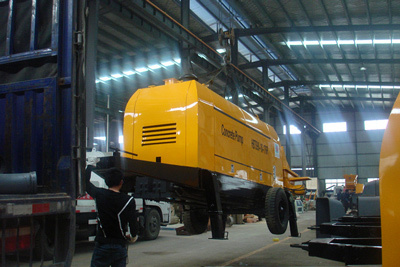 Every year, customers all over the world buy more diesel concrete pumps than electric concrete pumps from Aimix Group. 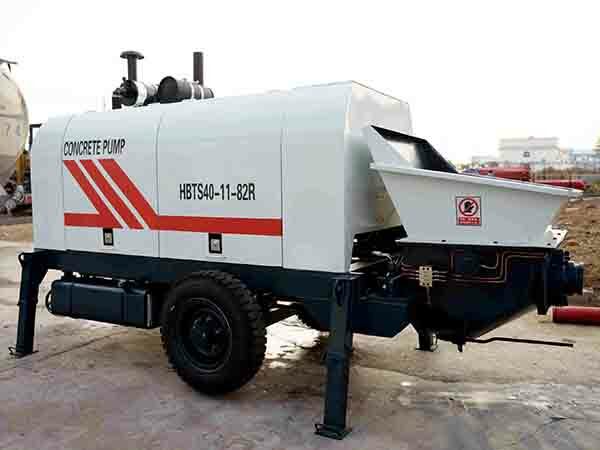 We divide our diesel concrete pumps into diesel concrete mixer pumps and diesel concrete trailer pumps. 1. with triple-pump open system, hydraulic circuits will not interfere with each other. 2. With anti-pumping function, operators can eliminate the blockage in time, and the concrete pump can stop working for a short time to wait for the material feeding. 3, advanced S tube distribution valve can automatically compensate for wear and tear and it has good sealing performance. 4, wear-resistant alloy glasses and floating cutting ring has long service life. 5. The long stroke of material cylinder extends the service life of material cylinder and piston. 6. Optimized hopper is easy to clean and it has better suction performance. 7. Automatically centralized lubrication system ensures the effective lubrication during the operation process of the whole machine. 8, with remote control, the operation is safe and convenient. 9. All spare parts are national standard and have good interchangeability. 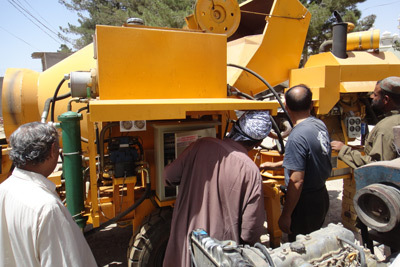 The most common malfunction of a concrete pump machine is blockage of the conveying pump. It is mainly caused by the following three reasons. In theory, blockages are most likely to occur when three large stones meet inside the same cross-section of pipe. When this happens, most part of the cross-section is occupied by stones, and the flowable area is very small, the blockage occurs. In order to prevent this problem, usually the maximum particle size of the stone and the inner diameter of the pipe d:D.
In poorly proportioned concrete mixtures, the pressure gradient is large, water will permeate through the gaps in the aggregate, causing aggregates to coalesce and cause blocking of the pipe, which occurs mostly at the place where the pipe is bent, reduced in diameter. 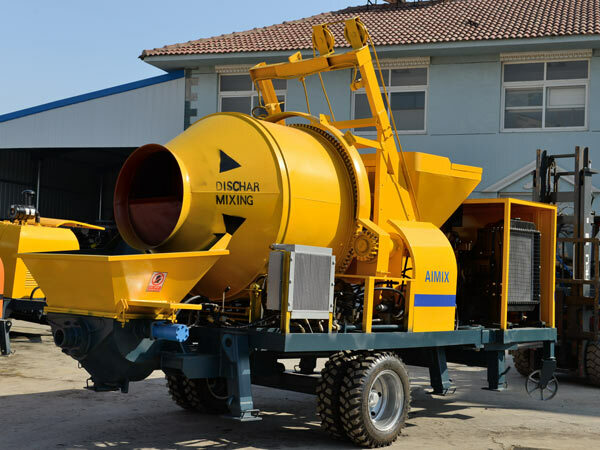 Therefore, operators should pay great attention to the proportion of concrete mixture. When the amount of fine sand that can pass through the 0.315 mm mesh is small, even if other technical indicators of concrete meet the requirements, the blockage still may occurs. Because these fine sands play a ball-like role in concrete, they can reduce the friction between the pipe wall and the concrete, improving the mobility of the concrete mixture, increase the cohesion and water retention, and have a great influence on the pumpability of the concrete. Therefore, the amount of fine sand that can pass 0.315mm mesh should not be less than 15%. (1) Avoid 900 and S-shaped bends when installing pipes. Never use pump pipe with obvious pits to reduce the resistance of the pumped concrete and prevent blocking. The pump tube should be inspected frequently. If the thickness of the pump pipe is too thin, replace it with a new one in time. 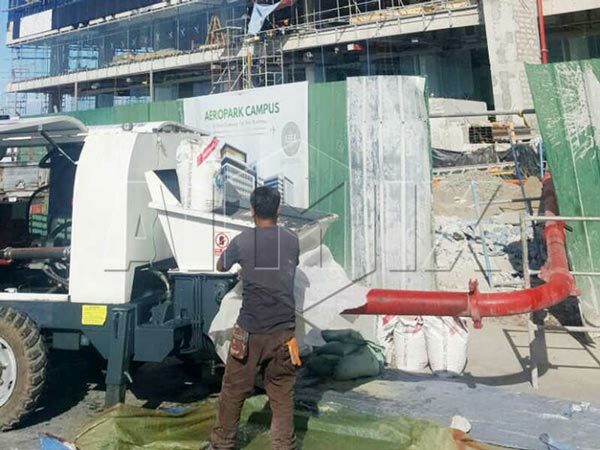 In order to ensure the continuity of the concrete pumping and ensure the quality of concrete pouring, the interval between concrete pumping should not be too long. If for some reason the interval is long, you should start the pump or reverse and forward pump several times every 20 minutes. The pumped concrete should meet the pumpability requirements. If necessary, the mixture ratio of the pumped concrete should be determined according to the test pumping result. 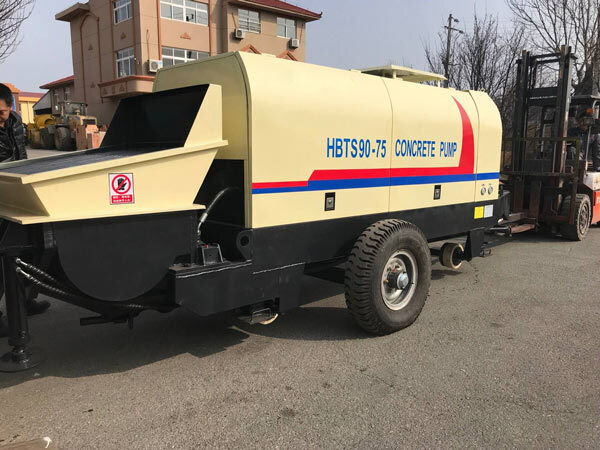 When choosing a diesel concrete pump, customers should take the following factors into consideration: features of your concrete projects, required maximum conveying distance, conveying displacement, outlet pressure, motor power etc. In general, the main performance parameters of the selected concrete pump should be equal to or slightly larger than the amount of your construction project required. If the parameters are too large, the utilization rate of the pump machine will be low. 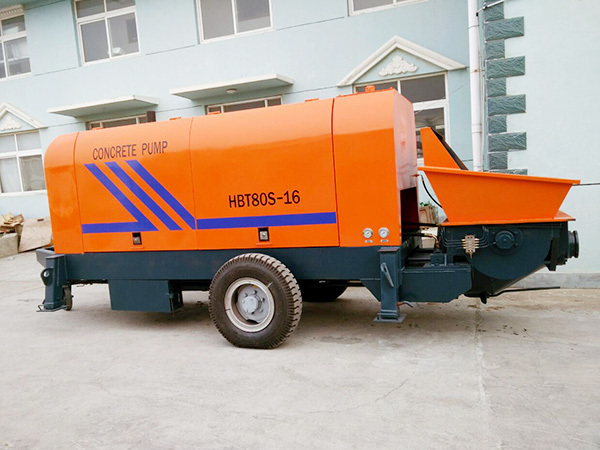 On the contrary, if the parameters of the concrete pump you choose are too small, it will not only fails to meet the construction requirements but also accelerates the wear of the concrete pump, which has a bad influence on the service life of concrete pump. 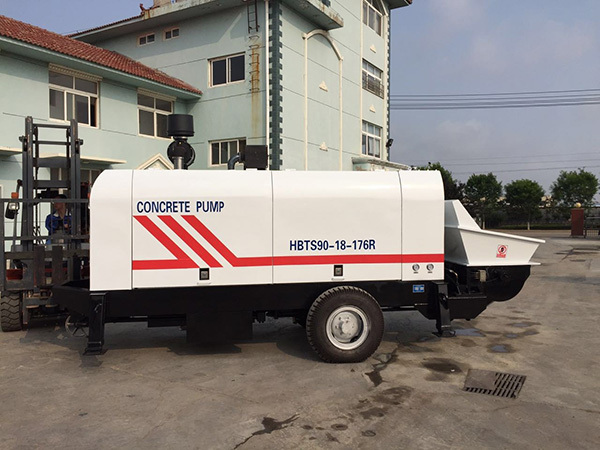 In order to get a diesel-engine concrete pump that not only meets the requirement of your construction, but also is economic at price, you had better ask our professional salesman for advice before making a decision. Our salesman will help you to choose the most suitable concrete pump models for you. 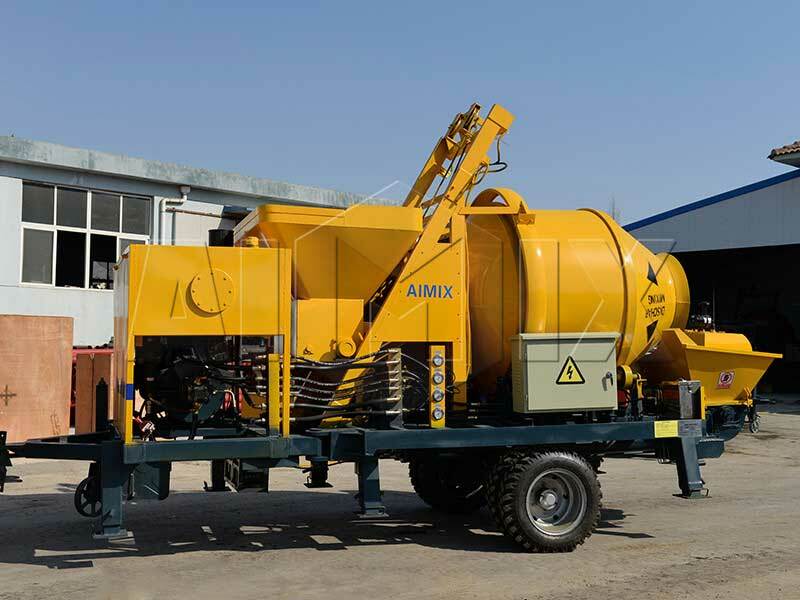 Aimix Group has exported high quality diesel concrete trailer pumps and diesel concrete mixer pumps at reasonable price to tens of countries all over the world. 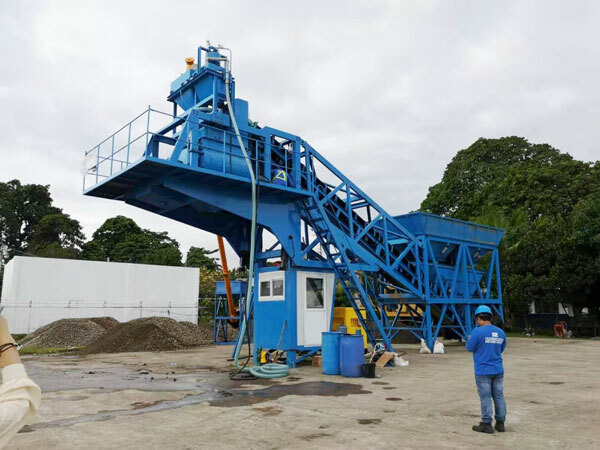 Our sales have plenty of experience from giving advice to customers which model is more suitable to exporting concrete pumps to oversea countries. Our engineer will go to help set up the machine, make test run and help train operators if necessary. Therefore, Aimix is a trustworthy manufacturer and exporter. Don’t hesitate to leave your questions and requirements in the form below now!